Father And Son: Sheen Revisits 'Subject Was Roses' In 1964, a young Martin Sheen played the role of a solider who returned from World War II only to confront the private war between his parents. Now, more than 40 years later, Sheen reappears in Frank Gilroy's Pulitzer Prize-winning play — but this time around, he's the dad. Few of us get to revisit the glory days of our youth. That's especially true for actors, who age out of the roles that made them famous when they were young. But in Los Angeles, Martin Sheen is returning to the play that launched his career. Forty-six years ago, The Subject Was Roses premiered on Broadway. In it, Sheen played a young soldier returning home after World War II. At the Mark Taper Forum in L.A., he appears in The Subject Was Roses again — but this time playing that young man's father. 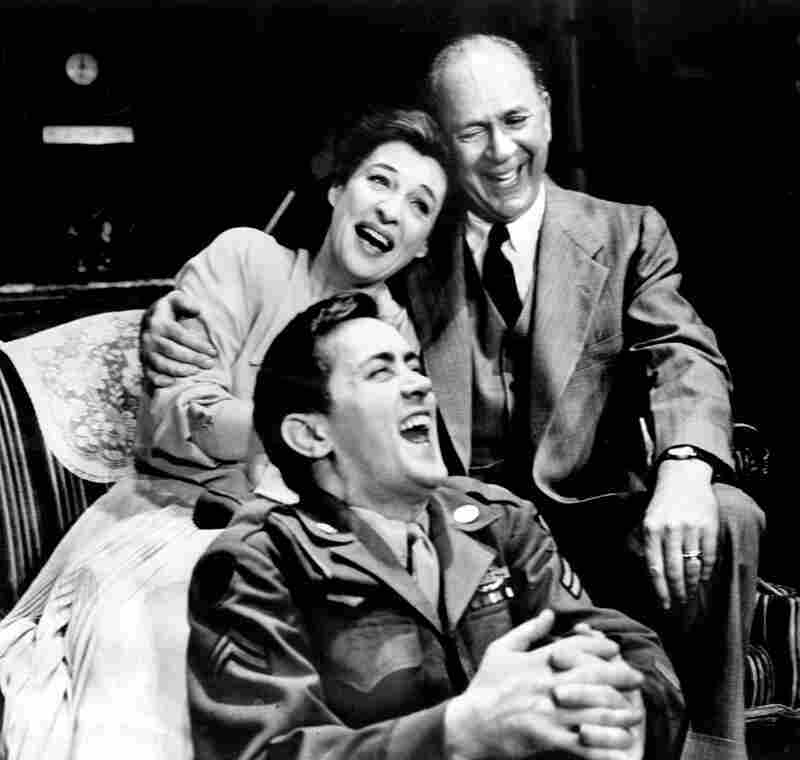 Sheen in the role of Timmy in the 1964 Broadway production of The Subject Was Roses. Irene Dailey and Jack Albertson played Timmy's parents. The play was adapted into a 1968 film by the same name. There are just three characters in the play, all members of the Cleary family: mother Nettie, father John and son Timmy, who finds he's left the battlefields of Europe to become a prisoner of his parents' war of regret and recrimination. Decades ago it was Sheen, as Timmy, who confronted his father, played by Jack Albertson, for his cruelty and self-pity. In this production, it's Brian Geraghty, best known for his work in the film The Hurt Locker, who confronts Sheen. But unlike the bitter and resentful character he now plays, the real Sheen has nothing but gratitude for the character of Timmy. "It was the biggest success of my life," says Sheen, "and the most important." He was just 23 years old when The Subject Was Roses opened on Broadway. He was nominated for a Tony Award. "The whole production of The Subject Was Roses was such a total life-changing thing for me and my family," Sheen recalls. "And not just professionally, but personally. I grew in a lot of different ways, as a husband and a father. I just gained so much confidence, and had so many more opportunities open up to me." Those opportunities led to roles in iconic films such as Apocalypse Now, Badlands and Wall Street. There was also the long-running hit TV series The West Wing, on which Sheen played Josiah Bartlet, arguably still the most popular Democratic president since Roosevelt. Sheen says it was his commitment to The West Wing that prevented him from doing a revival of The Subject Was Roses any earlier. Now it's been nearly 20 years since he's done a stage play, and he's reminded daily of how different that is from film and TV. "I've forgotten how big a toll it takes on you physically," he said. "You can't just suddenly leave town; you can't take a break; you've got to do eight performances a week. The demand on us physically and emotionally every night is quite difficult. And I'd forgotten how much I respect stage actors who do it all the time." Sheen, 69, is the only surviving member of the original cast. 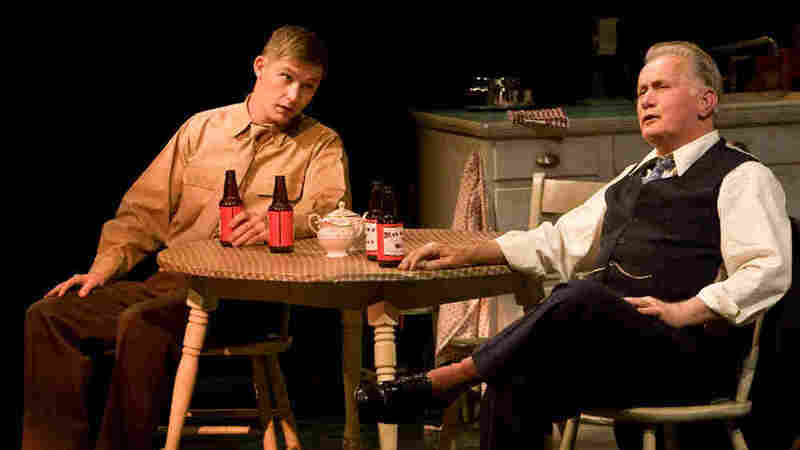 Playwright Frank Gilroy is in his mid-80s, but just had to be in L.A. for this production. "This, I never expected," said Gilroy. "I never expected Marty here in Los Angeles playing the father of the son he used to be. It's a joy, it's a joy." Gilroy still has indelible memories of Sheen's audition 46 years ago. "Immediately, when I saw him, I almost didn't even have to hear him read," recalls Gilroy. "He seemed so right. And then there were numerous auditions, but I would've grabbed him on the spot." That's intense praise, considering that the role of Timmy virtually is Frank Gilroy, and the Cleary family is very much his own. But Gilroy says the play is not a factual representation of what happened when he returned to his family after the war. "I wasn't that insightful [then]," he explains. It took until the 1960s for him to gain the perspective to put the Clearys on the stage. "You reach a time ... when fact and fiction blend seamlessly," says Gilroy. "If you do it too soon, it's journalism. If you do it too late, you forget, and it's fantasy. There's an optimum time." This seems to be the play's time once again. Gilroy says there's been increased interest in The Subject Was Roses since America's military has become involved in Iraq and Afghanistan. Sheen agrees that the themes of the play remain current. "American veterans are coming back by the score now," says Sheen, "and we are learning of the difficulties that a lot of these young people ... who've experienced combat, the difficulties that they have adjusting to civilian life and adjusting to family." That adjustment unfolds in great detail in The Subject Was Roses, ever painful and ever fresh.